Community Brands is the leading provider of cloud-based software to associations, nonprofits, faith-based groups, and K-12 schools. With 2,000 employees serving over 100,000 clients in 30 countries, They help organizations grow stronger and achieve their missions. Organizations adopt Community Brands software to manage memberships, career centers, learning, accounting, mobile giving, peer-to-peer fundraising, donations, admissions, enrollments and events. Using these solutions, customers of all sizes create meaningful and lasting experiences for their members, donors, students, and volunteers. From income inequality to improving the quality of education and life, they care and are committed to improving the world we live in. They are also passionate about their customers’ impact and are invested in powering their success. They're a group of motivated volunteers, members, and donors who are committed to effecting positive change. Microix, Inc., (pronounced “mike roy“) is a trusted third party authorized software development partner for MIP Fund Accounting™ Software. They provide add-on modules that are capable of extending your current functionality and investments in MIP Fund Accounting™. Also their products are designed, engineered and built using industry standard tools from Microsoft such as SQL Server, ASP.NET, VB.NET and WCF/Web Services. Their goal is to deliver feature rich, flexible and reliable modules that will empower your organization to become more efficient thereby allowing you to focus more on what’s important to you, “Your Customers”. Microix strives to be at the forefront of technology. From the very first product they released… to their most current… the goal has always been to innovate at every turn. Since 1983, ACOM Solutions has delivered automated payment solutions that transform accounts payable from a cost center into a profit center. Their Accounts Payable electronic payments solutions automate paper-intensive processes, reduce the cost of paying suppliers, deliver the option to increase Days Payable Outstanding, generate revenue from AP spend rebates, and mitigate payment fraud. Annually, ACOM processes $112 Billion in Accounts Payable spend, representing 32 Million payment transactions. 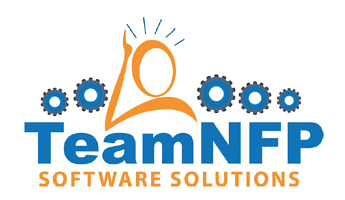 Team NFP family of products makes MIP Fund Accounting® and other financial software more responsive to the needs of nonprofit, tax exempt, and government users. Their founder and chief developer, Robert “Q” Johnson, ensures our approach to products and business draws on the best accounting practices and the most knowledgeable software development expertise. TeamNFP has been building applications for MIP users since their Fund Accounting product was running on MS-DOS and is the most experienced provider of such applications. All their products reflect their depth of both accounting and software technology.